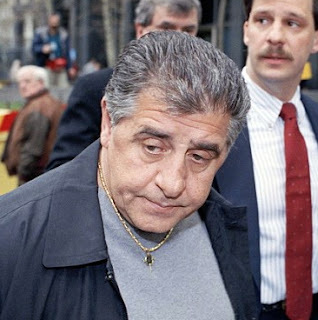 Alphonse "Little Al" D'Arco was a New York mobster who became the acting boss of the Lucchese crime family. 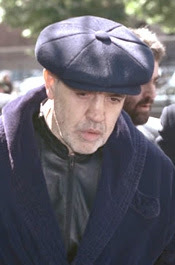 He was the first boss, acting or otherwise, of a New York crime family to become a government witness. 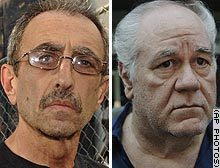 Among the Mafia heavyweights brought down by D’Arco’s testimony at more than a dozen trials were “Mafia Cops” Stephen Caracappa and Louie Ippolito; Genovese family boss Vincent 'The Chin' Gigante; Colombo boss 'Little Vic' Orena; ex-Luchese cronies Vic Amuso and Anthony (Gaspipe) Casso; and Bonanno consigliere Anthony Spero. The deal was done on Sept. 21, 1991, with the feds signing up perhaps their unlikeliest cooperator ever. In return for his work as a witness, D’Arco was sentenced to time served and fined $50 in November 2002. 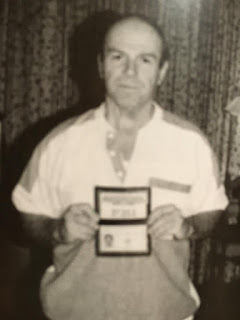 D’Arco's defection to the federal Witness Protection Program delivered a devastating blow to New York's five Mafia families. He passed away this month from complications of kidney disease.